The Criterion Collection has announced their July 2019 titles, which include four new titles on Blu-ray and DVD - "Klute" (1971), "The Baker's Wife" (1938), "1984" (1984), and "Europa Europa" (1990), as well as reissues on DVD and upgrades to Blu-ray for "Do the Right Thing" (1989), and "The BRD Trilogy" ("The Marriage of Maria Braun"/"Veronica Voss"/"Lola"). Pre-order Amazon links are are available down below and specs for each can be found on the official Criterion site. Eureka Entertainment UK has announced their June 2019 Blu-ray releases. "Last Hurrah for Chivalry" (1979), "Hand of Death" (1976), "The Holy Mountain" (1926), and "Under Fire" (1983). Preorder from the Amazon links below! Two titles from Arrow Academy have been announced for Blu-ray for June 2019. "Nightfall" (1956), directed by Jacques Tourneur and starring Aldo Ray and Anne Bancroft (available June 3rd in the UK, June 4th in the US), plus "The Running Man" (1963), directed by Carol Reed and starring Laurence Harvey and Lee Remick (available June 17th in the UK, June 18th in the US). Pre-order from the Amazon UK links below. The highly acclaimed animated "Spider-Man: Into the Spider-Verse" will come to the home video market on March 19 2019 in the United States from Sony Pictures. Pre-order at Amazon from the links below! To counteract those Blue Monday blues, we have five bundles of Blus to give away to some lucky readers! To be in with a chance to bag one of them, simply email us at competition@dvdcompare.net with the relevant SUBJECT heading (listed below), along with your name and mailing address (no P.O. Boxes) for a chance to enter the draw to win. All discs are UK editions and may require a region B compatible player to watch (see the individual comparisons for further details). Open to readers worldwide. No DVDCompare staff or family eligible to enter. One entry per person, per bundle competition (enter one, or enter multiple - your choice). Contest closes on January 28th, 2019. Any entries received after that date will not count. Closed for entries and winners have been drawn. 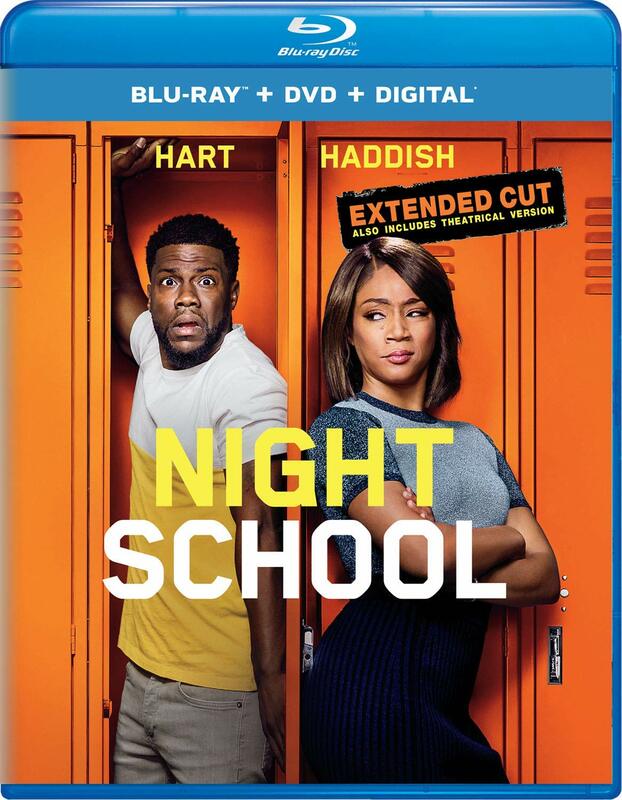 On behalf of Universal Pictures Home Entertainment Night School is now available on 4K, Blu-ray, & DVD, to celebrate this release we have two Blu-ray Combo Packs of Night School to giveaway to two lucky readers. Simply email us at competition@dvdcompare.net with the subject heading "NIGHT SCHOOL" with your name and mailing address (no P.O. Boxes) for a chance to enter the draw to win. Open to US and Canadian residents only, No DVDcompare staff or family allowed to enter. One entry per person, multiple entires will be deleted. Contest closes on January 10, 2019. Closed for entries. Winners have been drawn. 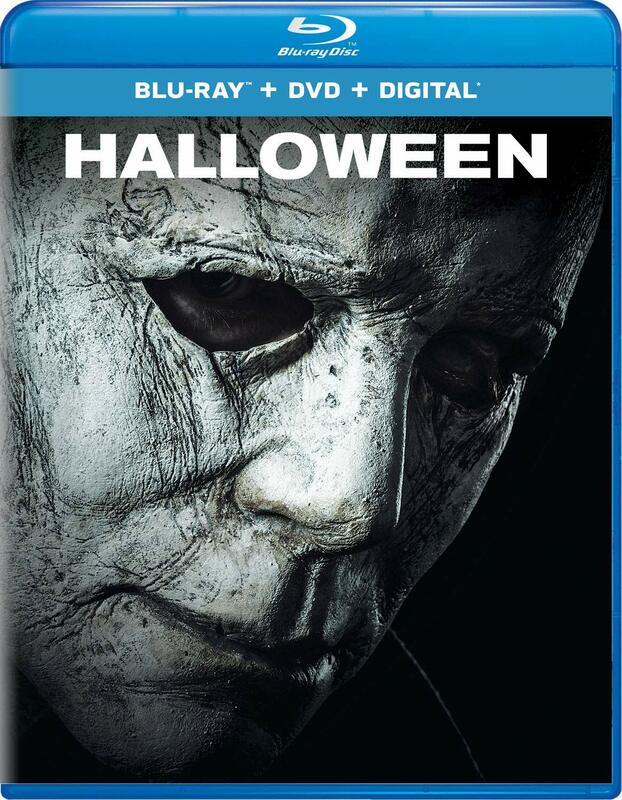 On behalf of Universal Pictures Home Entertainment Halloween is available on Blu-ray & DVD January 15th, to celebrate this release we have a Blu-ray Combo Pack of Halloween to giveaway to one lucky reader. Simply email us at competition@dvdcompare.net with the subject heading "HALLOWEEN" with your name and mailing address (no P.O. Boxes) for a chance to enter the draw to win. Open to US and Canadian residents only, No DVDcompare staff or family allowed to enter. One entry per person, multiple entries will be deleted. Contest closes on January 15, 2019. Closed for entries. Winner has been drawn. Check out the latest REWIND FEATURE, our coverage of the Tokyo International Film Festival 2018 by James-Masaki Ryan. The 24 disc The James Bond Collection Blu-ray box is at a very reasonable price, and much lower than the The Ultimate James Bond Collection Blu-ray which includes a 25th disc of bonus features. Both sets include all official 007 Bond films from "Dr. No" to "Spectre". Click on the links above to order! Preorder from the Amazon US links above! UK based Powerhouse Films have announced their slate of January releases on Blu-ray, all available on January 21, 2019. Preorder from the Amazon UK links above! The Aki Kaurismäki Collection from Curzon Artificial Eye, the 17 film 10 disc set is currently £34.99 at Amazon UK, just over £2 per film, plus a 100 page booklet and extras. A full set breakdown can be found here. The database contains 48914 entries with 141162 releases compared. Scream Magazine - 100% Horror.